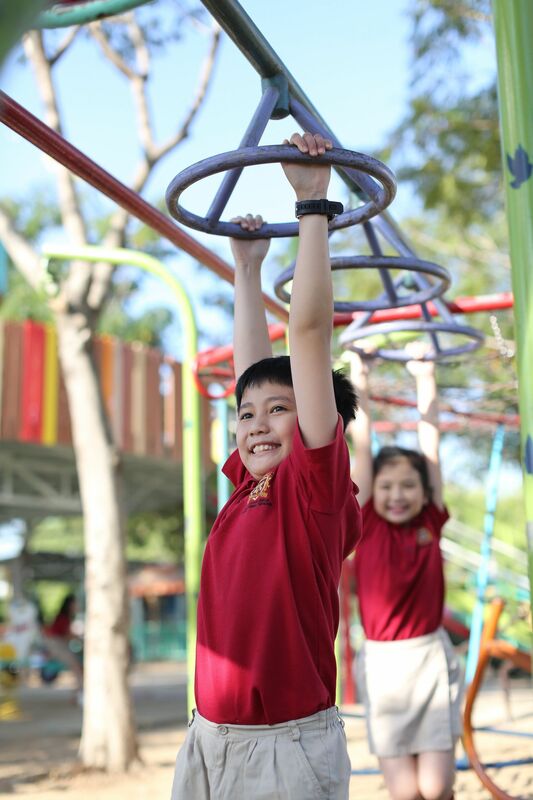 Vietnam Australia International School (VAS) pursues the vision of “Being a growing school group of excellence”. VAS provides students with a solid foundation by delivering a harmonious combination of the Vietnamese National and the Cambridge International education programmes, preparing them to be successful in life and higher education whilst preserving Vietnamese values. To realize this vision, VAS has built a strong community of national and international teachers, staff and managers, who passionately and effectively deliver VAS’s educational programmes. In addition, VAS aims to excel in communicating and engaging parents to create a partnership where families support our educational staff and objectives to ensure that all students achieve their full potential. At VAS we understand that nothing is more important and valuable to a child than having an opportunity to obtain a sound education that enables him or her to be successful in the future. We are very proud to offer such foundations. We apply some of the most updated teaching methods to provide students with profound cultural and core knowledge alongside practical life skills and life values. We also aim to create a comfortable and friendly environment where every student can experience and express kindness, love and respect and are supported appropriately to make the most of their natural abilities. This is supported by our strong “core values” programme as you will be able to read in this prospectus. We wish for every student to develop a high level of academic achievement and grow both intellectually and socially. We believe that today’s young talents will be successful in the future if they are provided with the highest standard of education right from the beginning. We hope that their time spent at VAS will be the most enjoyable and memorable time of their student life. 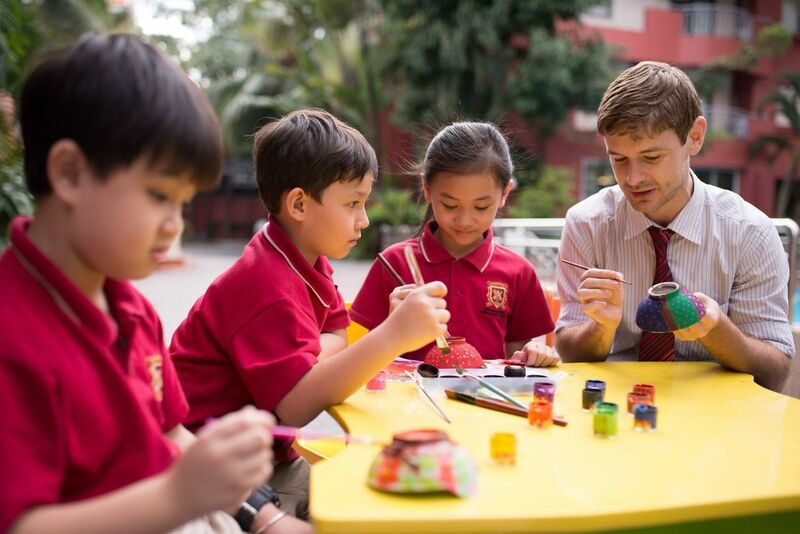 Established in 2004 and licensed by the Vietnamese Government, Vietnam Australia International School (VAS) is a private school group with the national education system offering K-12 education programmes. At present, VAS is offering educational services to more than 8,500 students from K through 12 at 8 campuses in Ho Chi Minh City. VAS is recognized as a Cambridge School by Cambridge International Examinations (CIE). CIE is a leading organization that provides a variety of education programs and qualifications for international students from 5 to 19 years old. 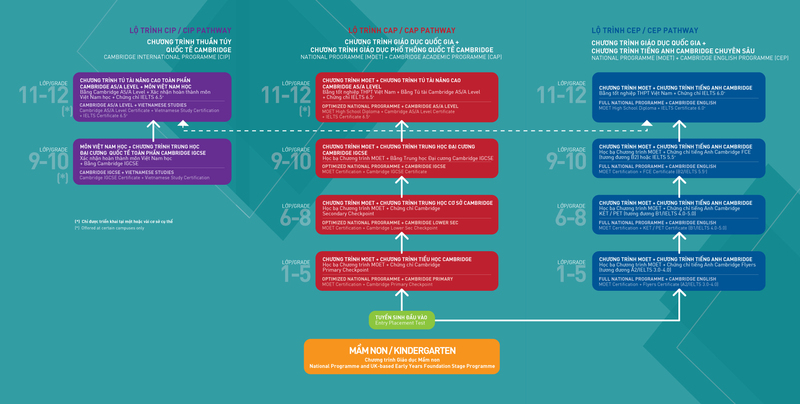 Studentssit for Cambridge Checkpoints, IGCSE, and A Level within the formal curriculum of the school. ICDL Test Delivery Center, authorized by ICDL International. Students can also achieve international ICT certificates, namely ICDL Starter and Full License, as part of the school’s curriculum. IELTS Test Delivery Center, approved by the British Council, IDP Education and Cambridge University, the center is based at the school. This allows students to take IELTS General Training and Academic IELTS within their mainstream school programs. To be a growing school group of excellence, preparing students to be successful in life and higher education, whilst preserving Vietnamese values through a combination of National and International education programmes. VAS will transparently set out it’s core values and empower all its stakeholders to fully apply themselves to achieve the highest standard in each of these values in a culture of continuous improvement. VAS will deliver a harmonious combination of national and international education programmes with high level of English and Vietnamese language proficiency. VAS will create a community of national and international managers, teachers and staff who passionately and efficiently deliver VAS’s education programmes. VAS will excel in communicating and engaging with parents to create a partnership where parents support teachers and staff to ensure that their children achieve their full potential. VAS will provide its education programmes to a growing number of students and in a growing number of locations in a sustainable and responsible manner.